One of the great things in my life is the people. And one of those people is my dear friend Stephanie of Triple Knot Studio. Stephanie is fun, smart and a budding designer. She is also the momma to three beautiful small humans. 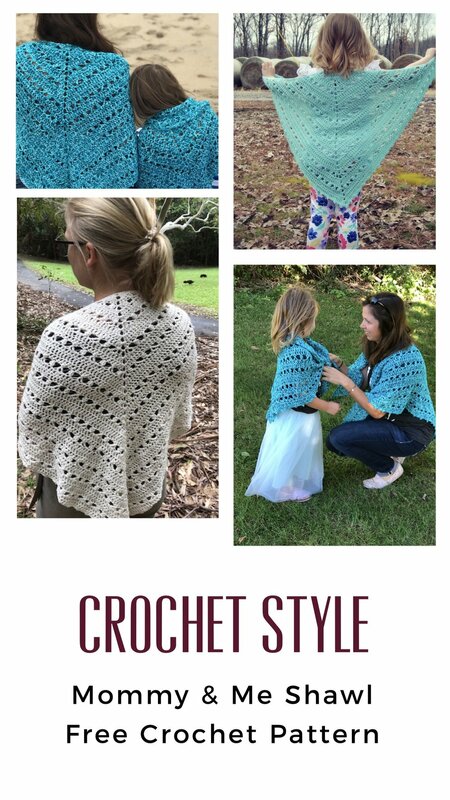 When I wanted to add a Mommy & Me item to the blog patterns I knew she would be perfect to design it. We wanted to use a cotton that would be perfect for summer but also those cooler transitional evenings and Universal Cotton Supreme was perfect for this collaboration and chose the Splash colorway Calm Waters. Seemed to just all come together perfect.y. This pattern is a joy to work up. 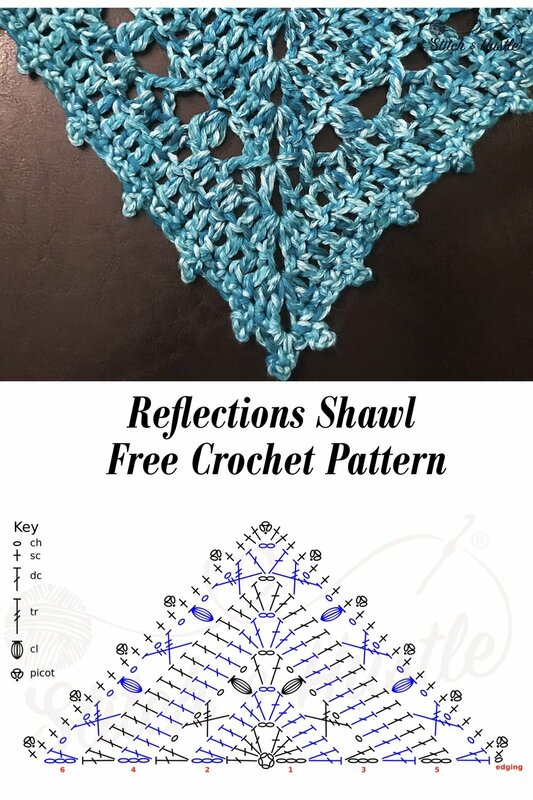 Great for beginners looking to explore specific pattern stitches and create a new shape. The trim line is done in a fabulous classic picot giving it the finishing touch. 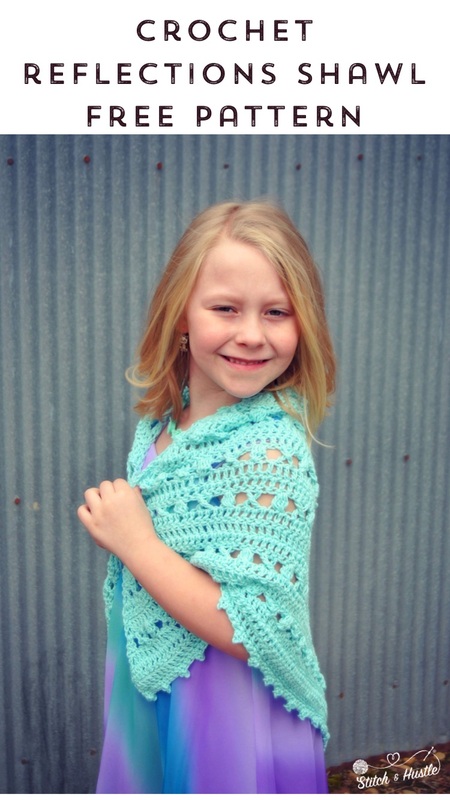 We hope you love to make these fo yourself or your littles. R1: ch3 (acts as dc), 3dc into center of ring, ch2 (creates corner sp), 4dc into ring. Turn. R2: ch3 (acts as dc), dc into same sp, dc in each dc across, [2dc, ch2, 2dc] into ch2 sp for the corner, dc in each dc across, 2dc in top of ch3 from previous row. Turn. R3: ch3 (acts as dc), dc into same, ch1, sk 3 sts, tc into next st, ch1, tc into 2nd skipped st (crossing back OVER the tc you just created), ch1, sk 1 st, cl, ch1 [dc, ch2, dc] into ch2 sp for the corner, ch1, cl into next st, ch1, sk 3 sts, tc into next st, ch1, tc into 2nd skipped st (crossing back OVER the tc you just created), ch1, 2dc in top of ch3 from previous row. Turn. R4 - 5: ch3 (acts as dc), dc into same sp, dc in each st across [2dc, ch2, 2dc] in ch2 sp for the corner, dc in each st across, 2dc in top of ch3 from previous row. Turn. R6: ch3 (acts as dc), dc into same sp, *ch1, sk 3 sts, tc into next st, ch1, tc into 2nd skipped st (crossing back OVER the tc you just created), ch1, sk 1 st, cl* repeat from * to * to 3 sts before ch2 sp corner, ch1, sk 3 sts, tc into ch2 sp, ch1, tc into 2nd skipped st (crossing back OVER the tc you just created), [dc, ch2, dc] into ch2 sp for corner, sk 1 st, tc into next st, ch1, tc into ch2 sp of previous row (crossing back OVER the tc you just created), ch1, sk 1 st, *cl, ch1, sk3 sts, tc into next st, ch 1, tc into 2nd skipped st (crossing back OVER the tc you just created), ch1, sk1 st*, repeat from * to *, 2 dc in top of ch 3 from previous row. Turn. R13: ch3 (acts as dc), dc into same sp, *ch1, sk 3 sts, tc into next st, ch1, tc into 2nd skipped st (crossing back OVER the tc you just created), ch1, sk 1 st, cl* repeat from * to * to ch2 sp at corner, ch1 [dc, ch2, dc] into ch2 sp for corner, ch1, cl into next st, *ch1, sk3 sts, tc into next st, ch 1, tc into 2nd skipped st (crossing back OVER the tc you just created), ch1, sk1 st, cl*, repeat from * to *, ch1, sk3 sts, tc into next st, ch1, tc into 2nd skipped st (crossing back OVER the tc you just created), ch1, sk1 st, 2 dc in top of ch 3 from previous row. Turn. When you finish the shawl and get to the edging, no matter where you are in the edging repeat, place the corner stitches (2sc, picot, 2sc) in the ch 2 corner space.